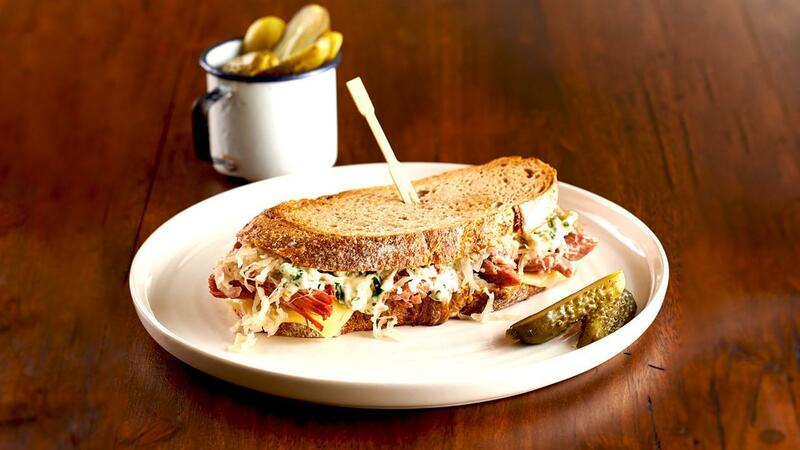 The origin of the Reuben Sandwich is hotly debated but the most popular account is that it was invented to be eaten during poker games - an one hand meal! Mix HELLMANN'S Real Mayonnaise, cucumbers, capers, COLMAN'S Dijon Mustard and parsley together. Construct in the following order: bread slice, COLMAN'S Seeded Mustard, cheese, silverside, sauerkraut, Russian dressing, bread slice.